There are many laundry myths, which have been passed down from generation to generation. There may be a little truth to some of them, but most of them don’t work. In the 1950s, people used hair spray to get rid of ink stains. Alcohol, which dissolves ink, was a major constituent of hairsprays in those times. However, today manufacturers don’t use the old formulas. Therefore, if you’re going to try this tip in this era, you’ll just end up creating more stains. It is widely believed that coffee prevents dark clothes from fading. Coffee can be used as a dye but only if the required color is off-white or a light shade of brown. You’ll need a bucketful of espresso to maintain the black jeans look. It’s a better option to let the cup go down your throat rather than down the drain. Adding more soap and detergent to washing is just a waste of products. The statement makes sense, but anything in excessive amounts, is always bad. The washing becomes harder, and takes more time. The quality is also spoiled. Detergent basically attracts dirt, and removes it with water. 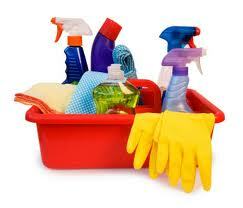 Residues of soap and detergent left in clothes will attract dirt, making the dress look dirty. Everyone usually washes stains from the front. This is wrong. Washing it inside-out will be more effective because it pulls the dust particles out of the fabric. Doing vice versa, pushes the particles deeper in the strands. Chlorine bleach cancels the effects of detergents. Add chlorine a few minutes after adding detergent so that the brightness is enhanced. Baking soda can also be used to improve the effect. Hot water is often used to wash clothes. People believe it will kill germs but it doesn’t. Use chlorine bleach or some other disinfectant for the purpose. Clothes shrink when the fibers lack moisture. This happens as a result of over drying. Take clothes out of the drier when they are still slightly wet. The high dryer heat plays no role in reducing the clothes’ size. Lint dryer isn’t as bad as it is taken to be. The only problem with it is that it does not let clothes dry quickly. This happens when the filters have not been cleaned thoroughly. It is widely believed that dry cleaning is cent percent dry. This is not the case. Laundry is not washed with water, but other organic liquids are still used in the process. Socks disappear frequently during laundry. Many consider that they get stuck in the machine or something. The truth is that they just get under the machine or get drown in large piles of clothes.